Get on the speedway with Sunkist® citrus! Earn the highest score possible by avoiding obstacles and picking up citrus fruits as fuel in this endurance style raceway game. The game doesn’t end until you run out of gas or destroy your car. There are 5 levels of the game for you to test your steering skills. Pick up different citrus varieties on each level and learn cool citrus tips and facts along the way. This simple, yet challenging game will keep you addicted for hours! Keep playing to earn the highest score and get all 23 special achievements. Compete against friends by comparing your scores in OpenFeint (you can share your scores on Facebook & Twitter too). Sunkist Speedway™ is fun for all ages! Challenge friends and family to see who’s the best Citrus Collector! Imaginary Range is a unique hybrid app that marries comics with video games. 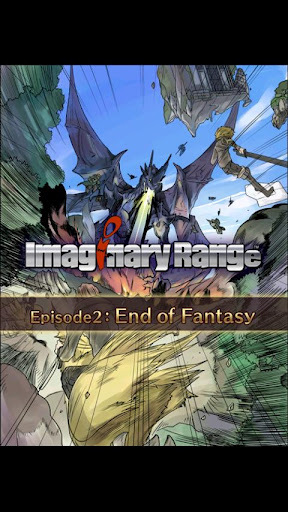 Imaginary Range, the hybrid app that fuses games with comics, is back for its second chapter! English and Japanese text options available. ○ You can now check and update Facebook and Twitter while reading the comic. Tap the icon to open and close the window. While Imaginary Range supports Twitter and Facebook functionality, on certain devices, it is possible that these services may not function as intended, or that the app may be closed forcibly. Should these problems occur, please follow the steps below. (1) Close Imaginary Range and all browsers. (2) Close all resident apps. * A solution for this issue is in the works. Twitter support note: Due to middleware issues, the loading screen may not close after sending a tweet. In this case, press the Back button on your device to return to the game. Two brand-new minigames, Chocobo Chaser and Sphere Bounce, are available for play. Omega Blast, the popular game from Chapter 1, has been powered up and remade into Omega Burst. Overview: Let’s make the face beautiful by using Best Face! Let’s make the face beautiful by using Best Face! You can make beautiful photographic portrait easily by using Best Face. Of course the photograph can be saved. #About Face Image Beautification System. This system removes the unwanted components that spoil the beauty of face , makes your skin smoother , emphasizes the shadow, and makes entire face looks more beautiful. 2.Push the “Save” button on the best shot. The photo will be saved. 3.If there is no good photo, Choose two better photos and push the “BeautifyPlus” button. 6 re-beautified photos will be made. -The list of beautified photographies. -It is possible to beautify it again based on two selected. -Compare beautified with original and photos. -The good effect of Best Face is not brought easily from the photograph where a dark part exists in face. Please take a picture of face brightly. -The good effect of Best Face is not brought easily from the photograph where a hair is gold. Overview: Boosting your vocabulary has never been easier. Boosting your vocabulary has never been easier. • Want us to focus on something other than GRE, SAT and TOEFL? Just send us a request! Want to REALLY boost your vocabulary? Then you need something more than just regular flashcards. You need vocab++, where we’ve curated images by hand that assist in helping our users remember the words thanks to visual association. Remember the illustrated books when you were a kid, that helped you learn words? That’s the basic principle. 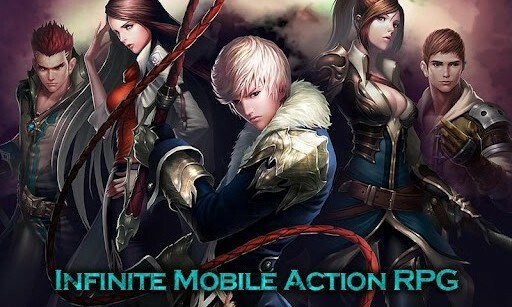 Breathtaking Party Play Action RPG!